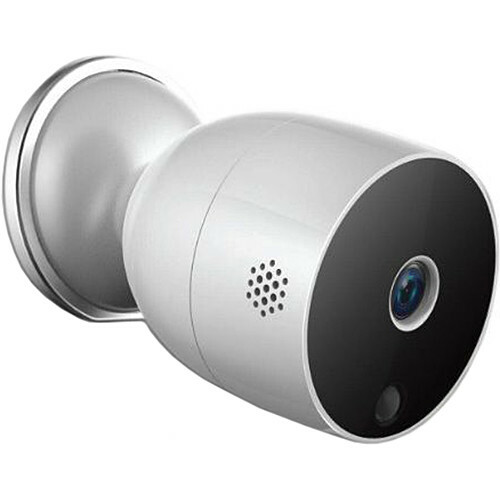 The eco4life 720p SmartHome Outdoor Wi-Fi Security Camera from Aluratek captures 1280 x 720 resolution video. IR LEDs provide illumination for visibility in low-light conditions. Two-way audio communication is possible thanks to a built-in speaker and microphone. An onboard memory card slot accepts microSD cards up to 128GB (available separately). The eco4life app for iOS and Android enables remote management and lets users receive instant notifications when motion is detected. This Wi-Fi camera is IPX6 rated for protection against jets of water. Box Dimensions (LxWxH) 6.3 x 6.1 x 3.3"